For Friday and Saturday classes, registration is from 9:00am to 10:30am on Friday and Saturday. For Sunday Amateur classes, registration is from 10:30am to 6:00pm on Friday and Saturday, and 6:30am to 8:00am on Sunday. * If there is not an event on Friday, rider registration will be closed. ** Atlanta and Las Vegas operate under unique schedules. 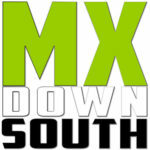 What do I need to register for the 250AX and AX Lites Classes on Friday and Saturday? You will need your AMA membership and verification of your “A” status. You do not need a pro license. Do I have to be an AMA Member? Yes. We sell annual memberships on site for $49 and weekend memberships for $20. We accept pre registrations until 11:00am central the Monday before the event. Where do I buy pit passes? You can purchase your pit pass online or at promoter will call near back gate of the building. Does my registration include a pit pass? The rider’s registration is the riders pit pass. Does my registration include a pit pass for my mechanic or guest? What is the age effective date for AMSOIL Arenacross? The age the rider as of January 1, 2017. How do I ask more questions about the AMSOIL Arenacross?